Does too much control impede Gamesense? Trusting Bertie to develop gamesense. There are no Field trial running dogs on the picking-up team at Shelton and when I took Bertie out on the Shannon for the first time this season I remembered why this might be. 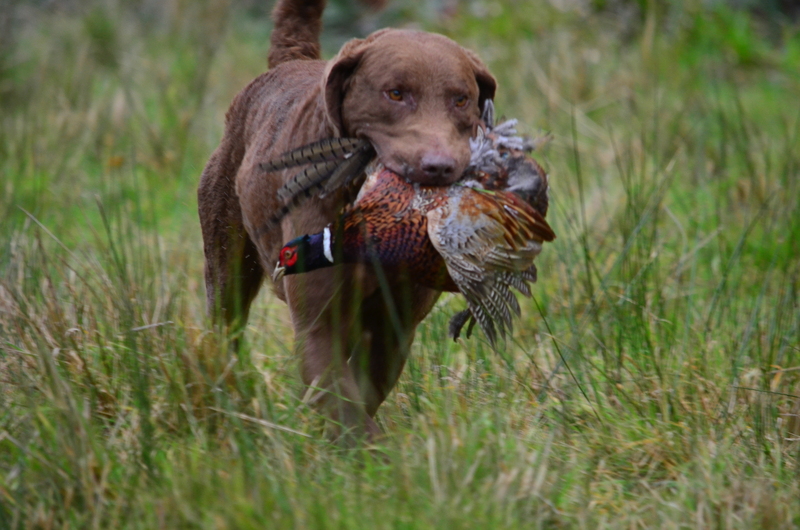 His Summer spent running advanced level retriever working tests both in Ireland and the UK had brought a level of control in his work that I have never before achieved with my dogs. He had learned to shut out all distraction when taking a line, to respond promptly to my whistle when I asked him to stop and to hunt a specific area, to take a back cast, a right or a left cast and to sit quietly and steady in line. Yes,all those hours of training had taught him to trust me implicitly when it came to finding a retrieve but now that gameplay was about to change. The back of the Oaks. If I wanted to continue the winter season with this level of control I knew, quite simply, he would be unable to participate fully in all that is required by a picking up dog at Shelton. The cover here is just too dense and a dog in pursuit of game is quickly out of sight. Lines are lost as the most efficient way to cover ground and hunt game is to quarter freely, working the nose for the slightest whiff of scent. As I’ve said I had asked Bertie to trust me in everything through every aspect of his training during the summer but now I was going to have to take a step back, drop the reins and trust him . 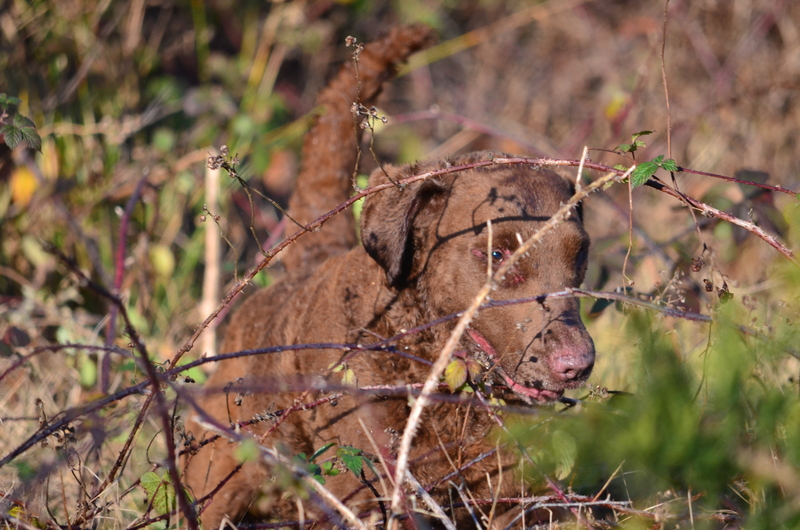 A dog now has to pull together every ounce of his natural hunting ability to trace and track game. He must also develop a skill that will save him much time and energy when it comes to differentiating between birds that are wounded and birds that are not as the cover behind the gunline will hold both types of bird. This skill is called ‘gamesense’ and a truly effective working dog will have developed this skill over many seasons. So as we approached our season for picking up at Shelton I knew the balance of free hunting versus control was going to be tipped heavily in favour of the former. Steadiness I wanted to hold on to but straight lines and response to whistle once committed to a bird would slide in favour of allowing my dog to figure out how and where wounded birds fall amongst the mess of brambles and gorse which makes up the bulk of Shelton cover. And so this is where working dogs at Shelton and field trial dogs must part company for the winter months. The area behind the Oaks drive, known as the tailings equates, roughly to the size of three football pitches. That’s three pitches covered with a mix of heavy gorse and bramble . The birds are coming off the Oaks at approximately the height of the top of a football stand and taking wind, rain and sunlight into account are likely to glide in anywhere among that mass of undergrowth. 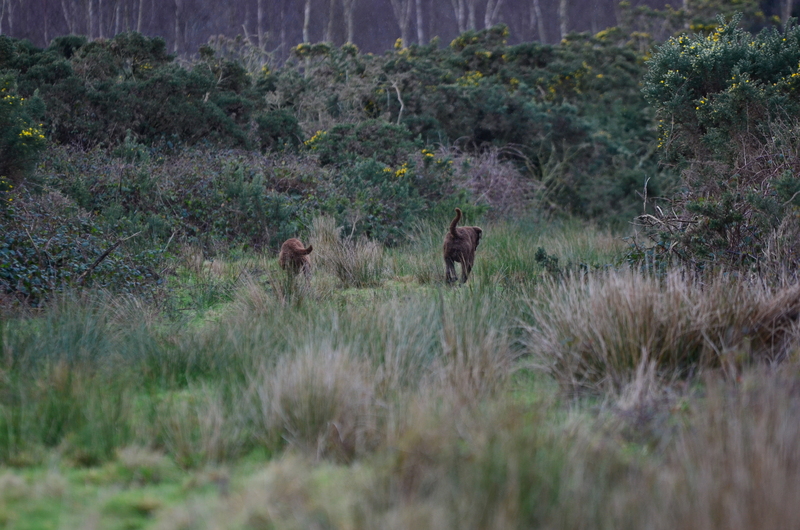 Once they hit the gorse, if wounded, they know the area well having spent the previous summer roaming freely through that vast expanse of wilderness. They can navigate quickly through a of maze of tracks and runs which they’ve created beneath the cover during those months and a wounded bird can be lost quickly if a dog does not have the knowledge, drive and desire to find it. The desire to retrieve at all costs must override almost everything else as this type of cover will take its toll on a dog when time and time again they face the onslaught of thorns beneath the brambles. The fairest way to ask a dog to work this type of ground is to allow them the freedom to figure out the nuances of gamefinding on their own. By allowing them to run in on the flight path of a winged bird once it’s passed the gunline but before it hits the ground they learn to follow its flight path and figure out how to run round the banks of bramble rather than having to work straight through them. Or following a bird directly into the gorse is easier on a dog than asking him to hunt blindly after a drive has finished. They learn then that this is where birds go and when asked to hunt and clear the area after a drive heading deep into cover on just the mere scent of a wounded bird becomes second nature to them. I found losing control difficult at first but as the season progressed and I allowed Bertie that freedom all that wonderful promise of instinct and natural gamefinding ability coupled with a certain level of control began to emerge. 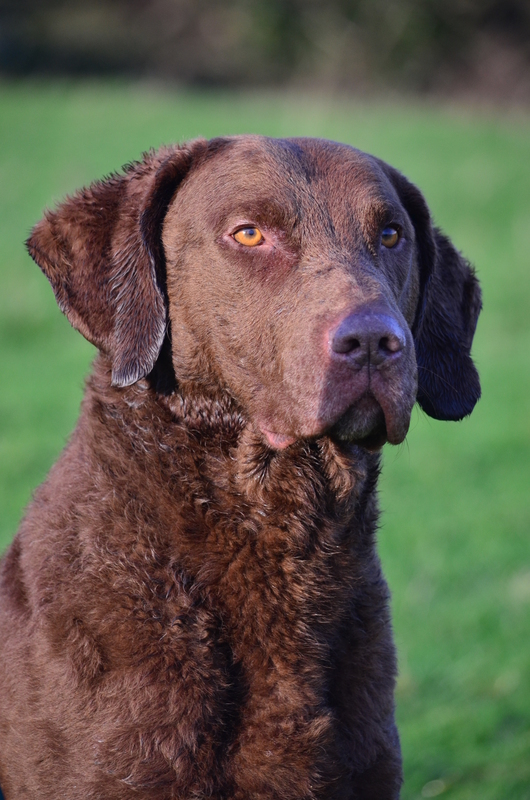 I wanted a dog that had all of his father Chester’s uncanny game sense and desire to find birds at all costs but enough control to sit steady and focussed when under the pressure of a drive. And I don’t think I would have been able to achieve this without that deep grounding of steadiness throughout the summer months. In the course of allowing this loosening of control he did go through a stage of running in and completely ignoring my commands but I was able to pull that control back , just a notch, to keep him just on the edge when all it took was a quick call of his name and he was off in pursuit of the bird he had marked. 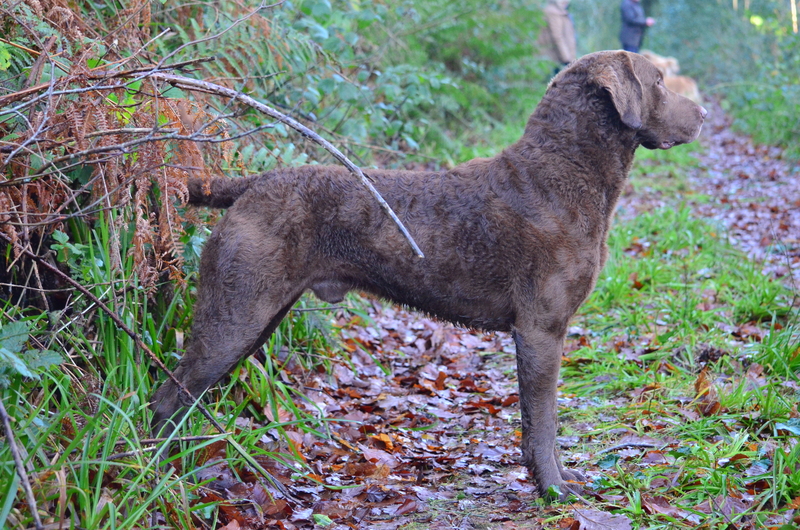 Chesapeakes are not a breed that naturally has the same level of self-control as the Field-trial bred Labrador. However, their natural inclination to figure things out for themselves and that gritty determination to retrieve game at all costs no matter what obstacle is thrown in their path be it heavy open water, estuarine currents or dense bramble makes them an invaluable asset when the name of the game is birds in the bag. 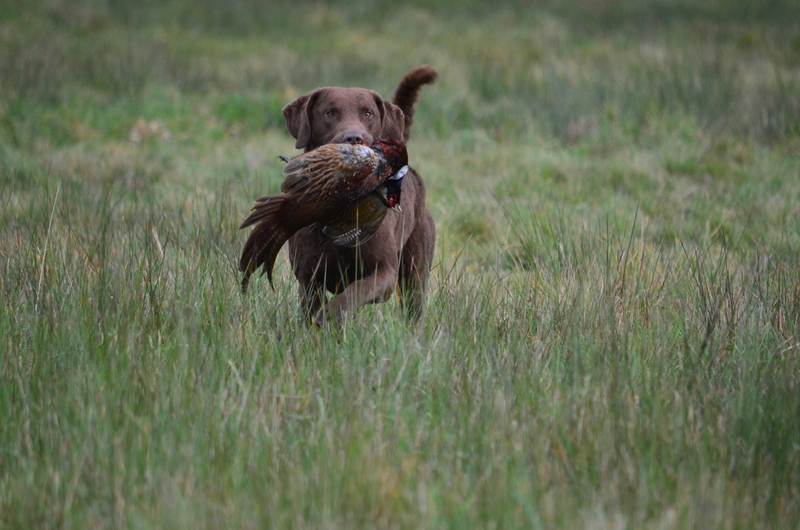 A dear old wildfowling friend of mine, John Battle, has a favourite saying in relation to working dogs, ‘we train our dogs to untrain them’, and perhaps that is true. 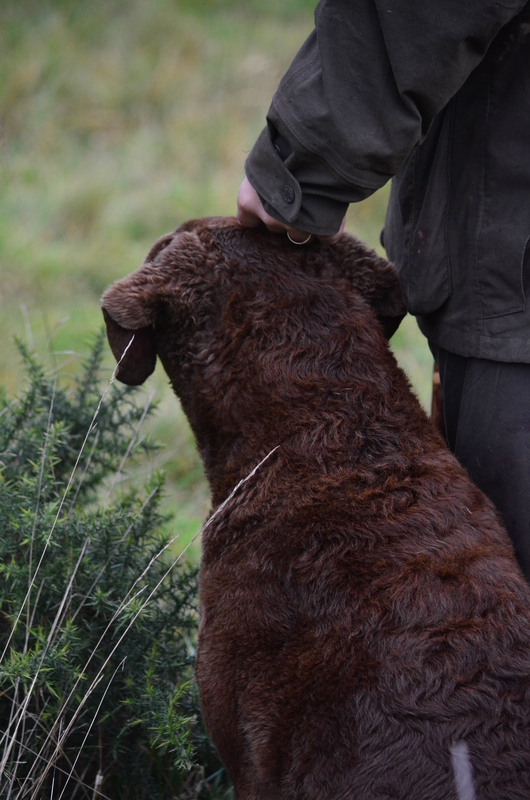 What I learned, however, as we passed through the season is that tight control over a working dog may impede natural ability and instinct and as a result the complete potential of that dog may never really be uncovered. By allowing some loss of control and trusting my dog more I feel I got a better deal, a working partnership that I hope will endure for many more seasons to come. This entry was tagged gundogs, hunting, shooting. Bookmark the permalink. ← Game Pie using Pheasant. Thank you so much, I am so glad you enjoyed reading it.